So sorry for the long absence, work and commitments prevailed over hobby, and trying to find ‘my time’ for my photo work & blogging eluded me. 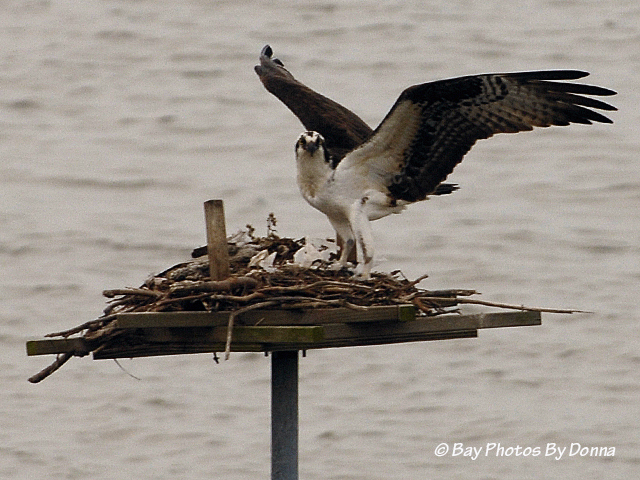 But trying to get back on track, I decided to first put out my latest information on our Oyster Cove nest. And then follow soon with another post on the variety of birds that crossed my path of life since my last post. Some great shots to share, so stay tuned for them! 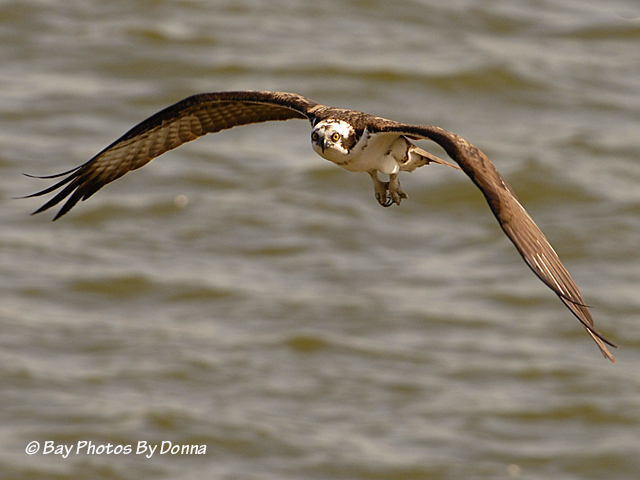 Now on to our beloved osprey! 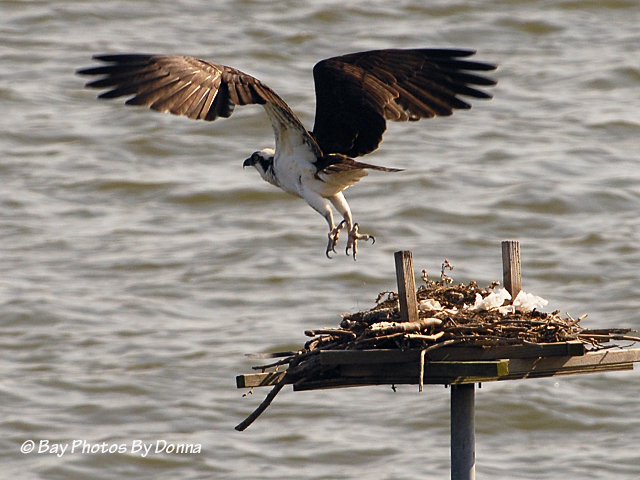 Osprey activity in the immediate area of me is abundant in the early morning and late evenings. There’s always one here or there in the sky or daringly perched over Rt. 50 where two pair have definitely taken/retaken residency for this season. I’ll get some shots of these guys soon, you’ll be amazed at their craziness of living and rearing offspring over six lanes of highway! 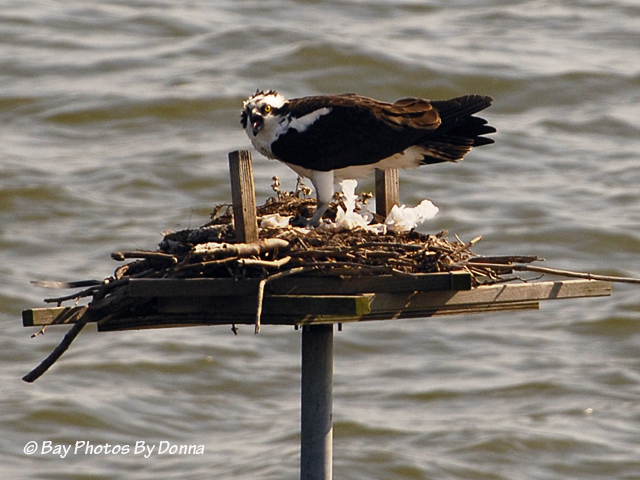 Our Oyster Cove osprey nest platform has not been taken over by a pair for breeding. It has not had one branch added to what was left from the past winter. 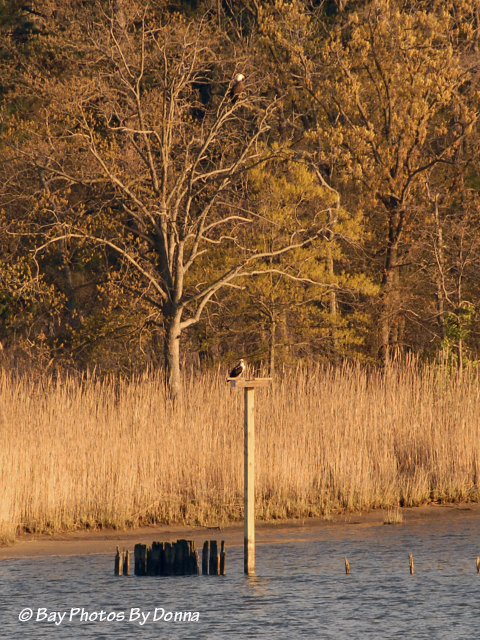 However, every morning before sunrise and as the sun rises, at least one osprey comes and perches on the platform. 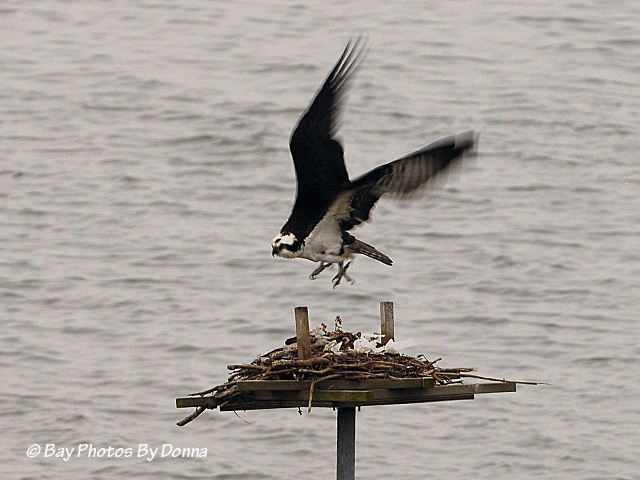 If I saw that osprey come from the Marshy Creek nest platform at Osprey Point, one or both of the osprey pair from the Kent Narrows channel marker have come screaming over to force the other off and then land or fly over as if to protect and possess it. This happens vice versa too! 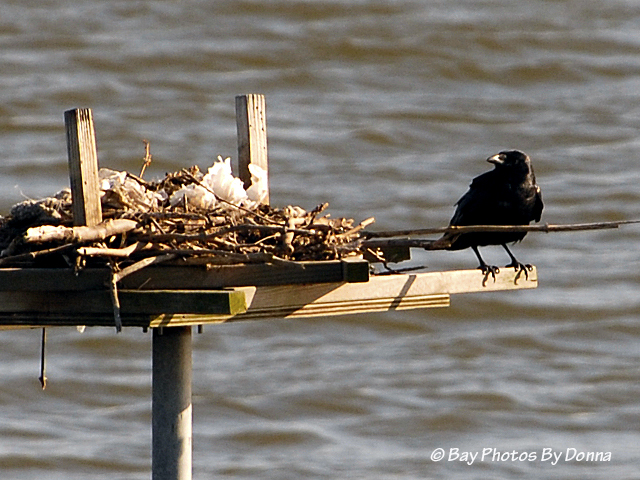 I’ve watched when a mate needs some space/time off the nest, they like to ‘own’ another perch nearby, within hearing distance of the nest, like Oliver & Olivia did with Lipincott’s channel marker. Seems these two pairs like it for their own and it’ll be a battle all season! 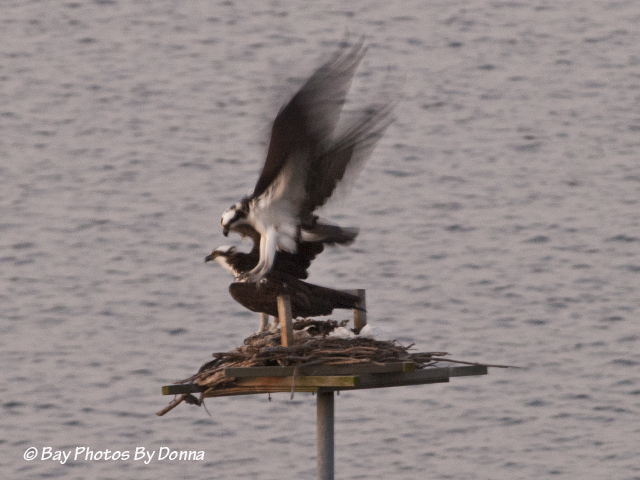 It is really funny to watch them get down right loud with threatening chirps to another osprey or any passer-by in the sky. Watching the nest every morning and most late evenings, I did take some photos before sunrise which aren’t very clear, mostly just for my records. So here’s a parade of photos of some that turned out half way decent to share. 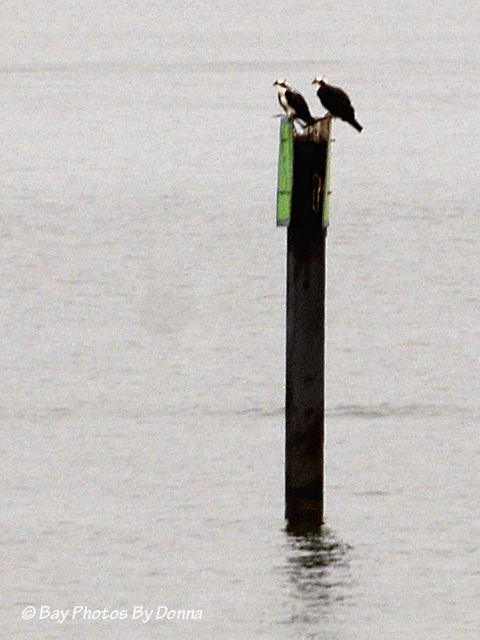 I’ve been watching the osprey pair that were trying to settle over on the Kent Narrows South Entrance channel marker #5. It seems to be the same pair as before because they have tried building their nest on the same marker as last year, a marker that is narrowly dangerous for the success as pieces continue to fall down inside the hollow marker, and to sustain a large nest with growing chicks as well as a parent trying to feed them is almost impossible. 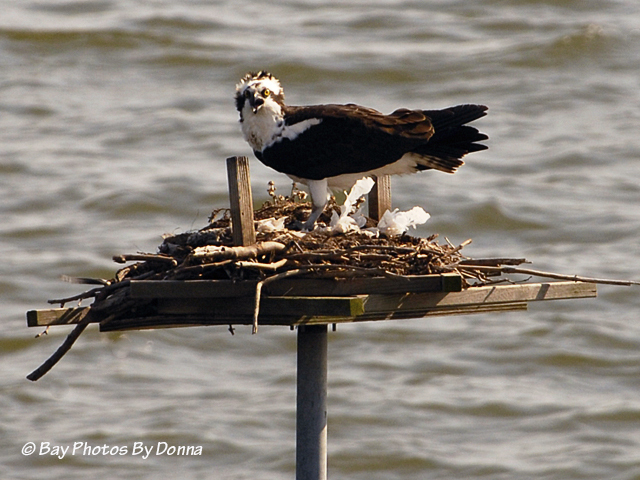 Last year, a violent thunderstorm destroyed their underdeveloped nest off the marker. 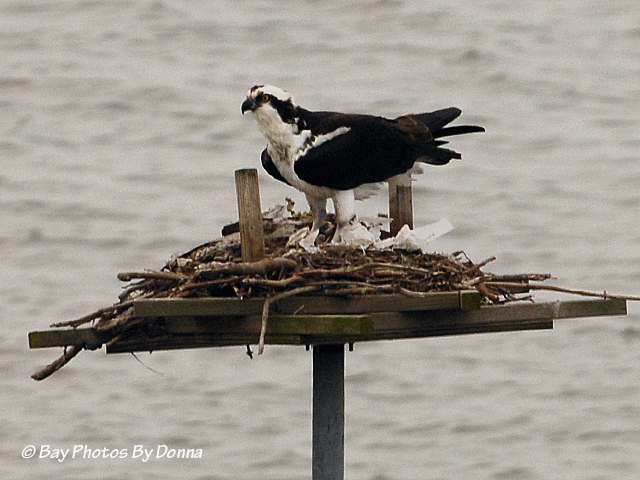 The pair had been incubating eggs so it was so sad to see. I’ve been worried and thinking not again! But they seemed to have had a problem getting a base to stay to build on (maybe my prayers have been answered!) 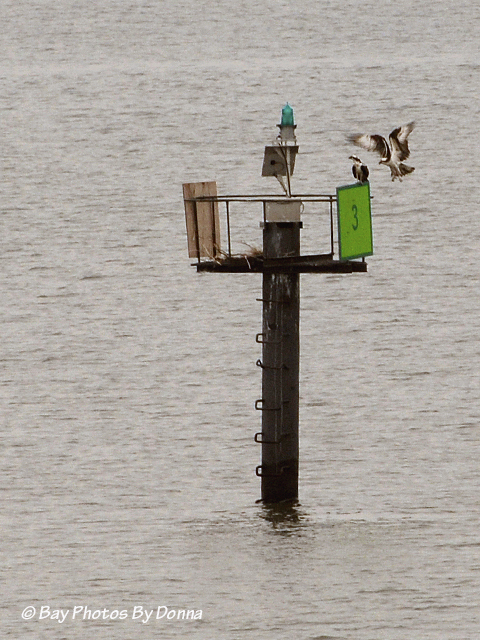 and have moved over to channel marker #3, a larger marker with a platform to build on. They have sticks accumulated on it all ready! 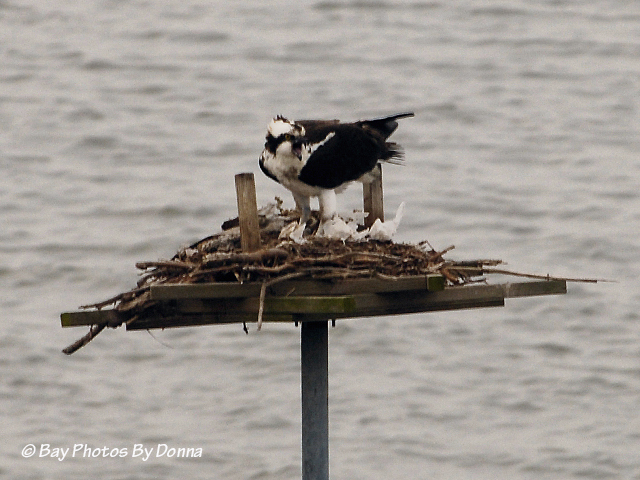 They still like to perch on #5 and of course come over to our nest to scare off the other osprey. Here’s the pair’s ‘first’ residency and now their present one just down from it. I hope they keep on track! 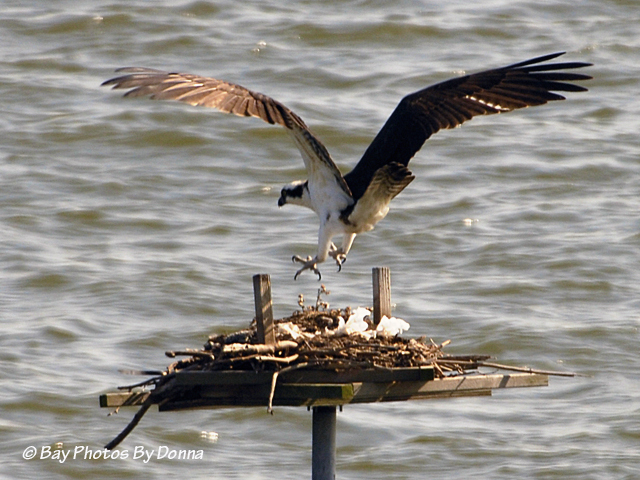 Once we get back on the water by boat, I’ll be able to share close-up photos of them during the season. Now a few action shots I captured from my perch…. 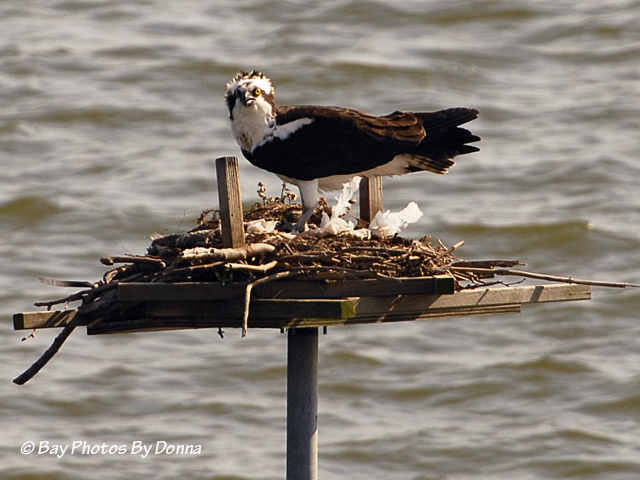 Since no one has officially claimed the platform as their own for nest building and breeding as yet, we’ll just have to call it the OC Osprey Nest “Depot, for all the birds who wish to stop to visit or to rest. So far, these fellas have enjoyed it off and on! 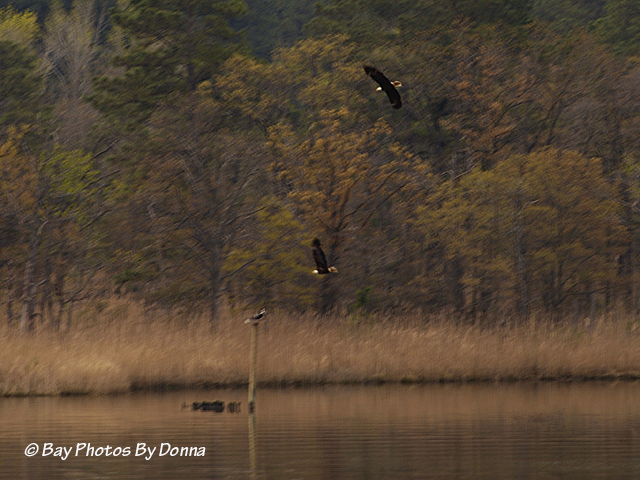 And finally, some shots of some osprey interaction with eagles. 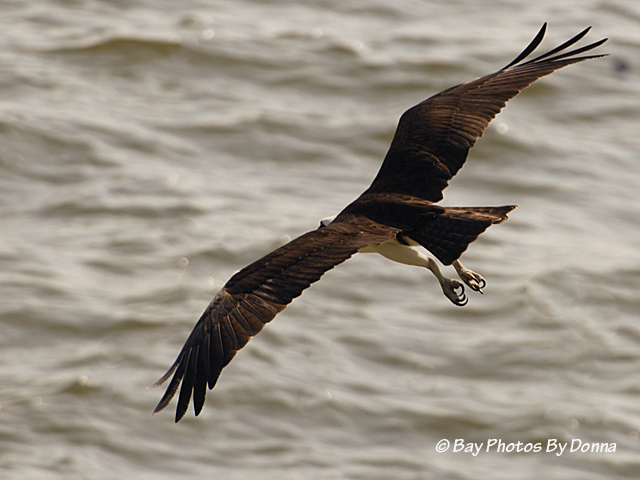 I never see an eagle harrassing an osprey, it’s the osprey that chases the eagle. Over at CBEC I can see another platform that this year has a pair as well (I told you they’re everwhere!) 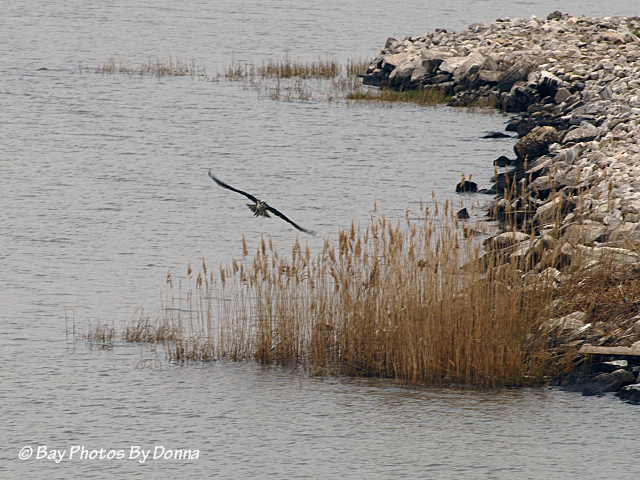 where a pair of eagles were playing around his platform. 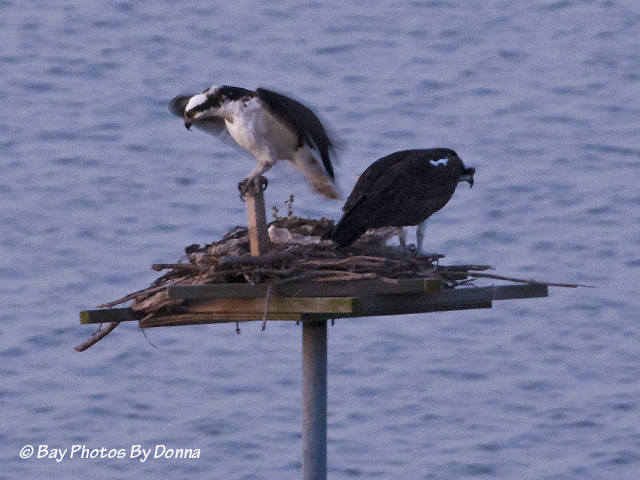 Another day, one of the eagles perches over the osprey and his nest. Maybe the eagle does like to tease, lol. 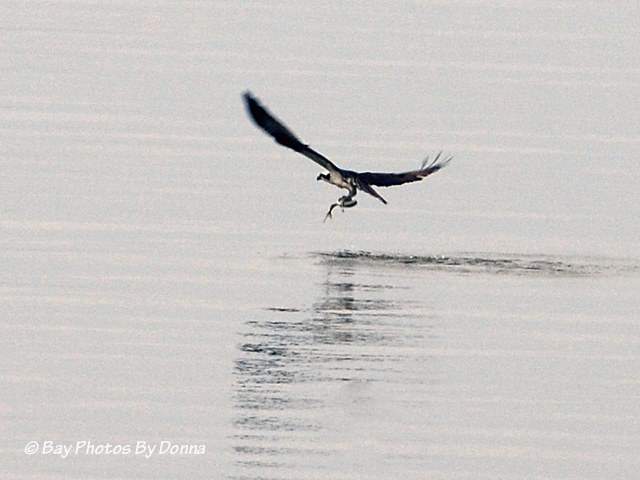 Finally, the osprey cannot stand it and begins the pursuit. 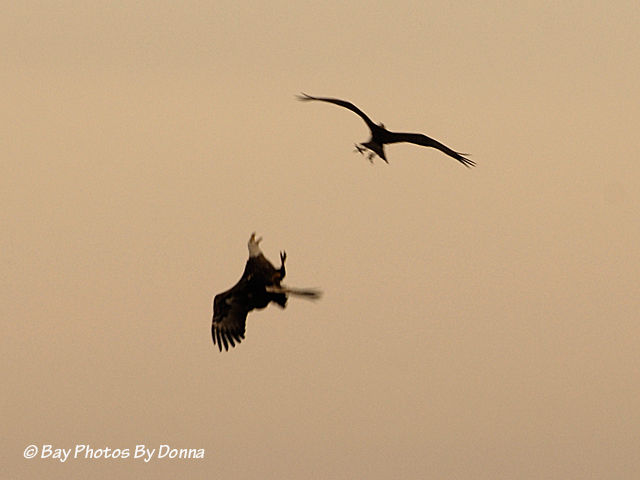 Of course, the eagle will try to defend himself. This photo is terrible but you can see the attack stances they take. 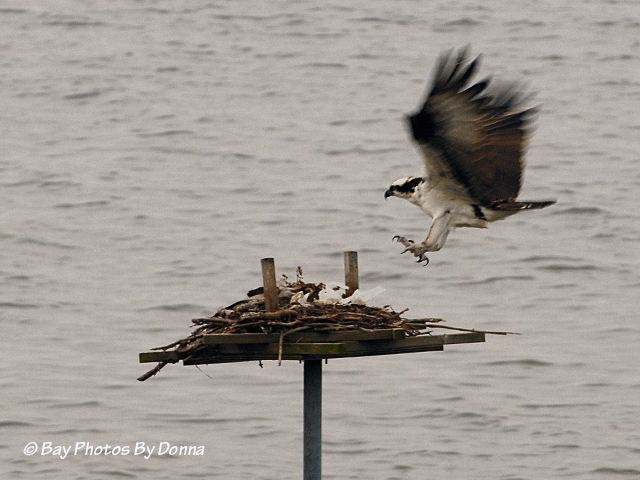 That’s an update of Oyster Cove’s osprey nest and surrounding osprey. Oh, I almost forgot one more photo. 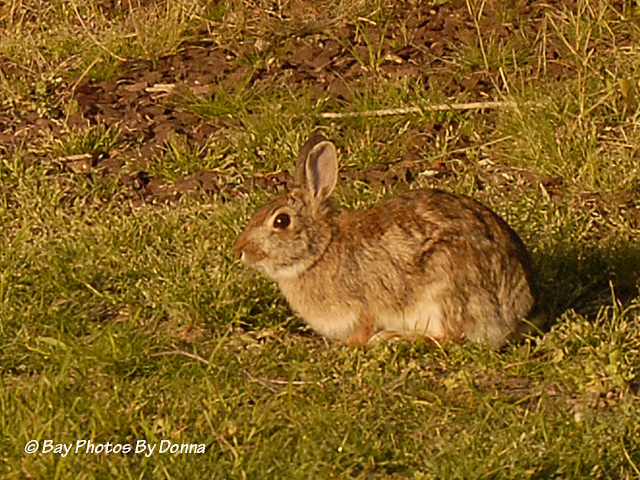 The Easter bunny came by a few days ago to say hi before his busy weekend. For those that celebrate, best wishes for a wonderful Easter holiday! Lots of fascinating activity. And great photos! 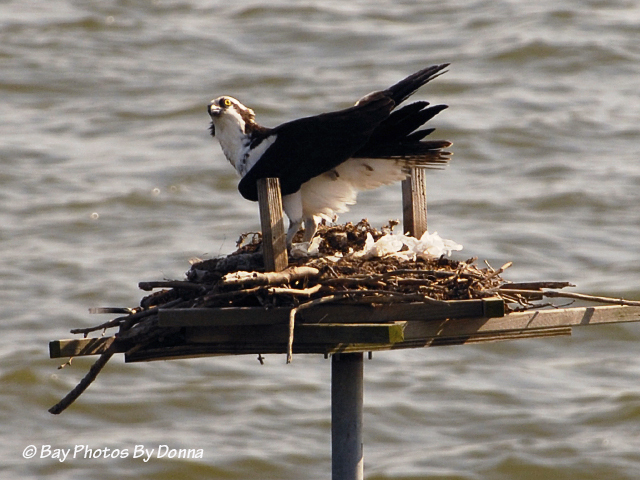 Those are some serious talons! Donna, you made up for your absence with a very nice sequence of images. You got some really nice action shots in this post. Thanks for the update! All i can say is WOW, great shots, and that it must be wonderful being able to see that kind of wildlife action on an everyday basis! Thanks Jerry! 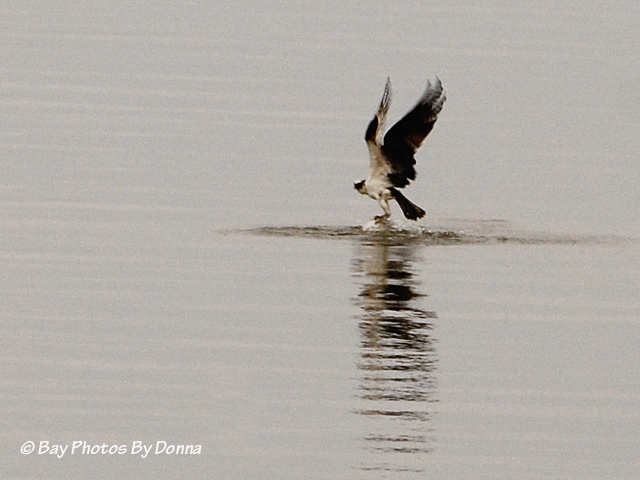 Your ‘everyday’ wildlife is pretty wonderful too! your photos are fantastic. Thank you. Lovely photo’s Donna. Love the action captured in this series of photos. Thanks guys, appreciate the commments! 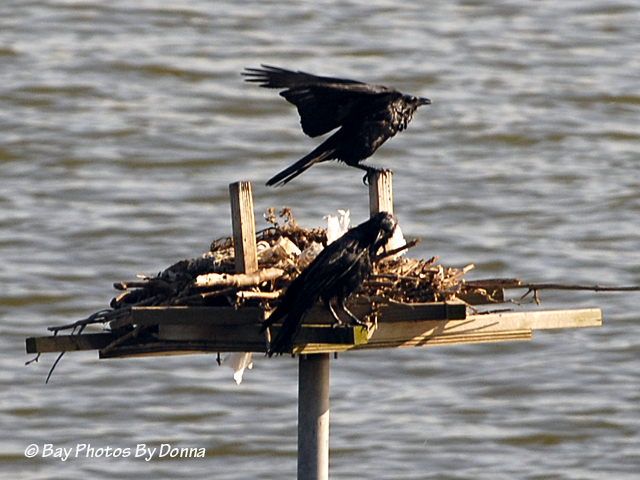 I think the Depot will see lots of “come and go” action this nesting season. You are right – any parent might just need some alone-time! Glad to see the Easter Bunny there early. Guess that busy bunny made it Texas by today! All the pictures are interesting along with the commentary but some of them are absolute crackers. Well done. Thanks Tom, I love it when there’s a funny capture and expression on a bird. You do well with those too! Thanks Nia, appreciate your following! I think that’s what I love capturing the most, when birds are interacting and communicating. I would LOVE to see a red-winged blackbird chase a GBH or raptor, that would be awesome! Kudos to the underdog, LOL. 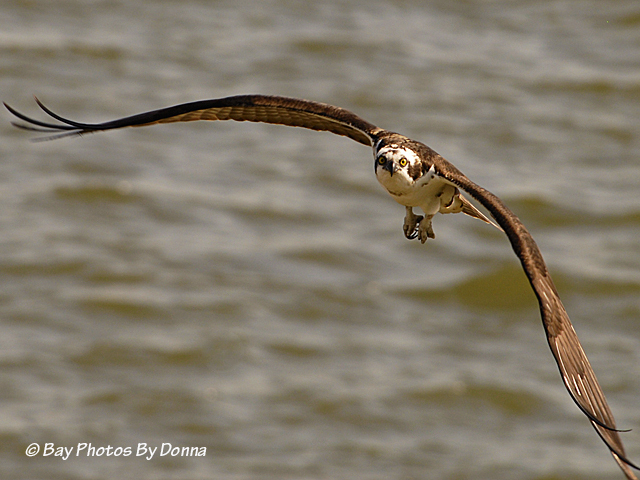 Absolutely gorgeous shots, Donna! LOVE the ones in flight! 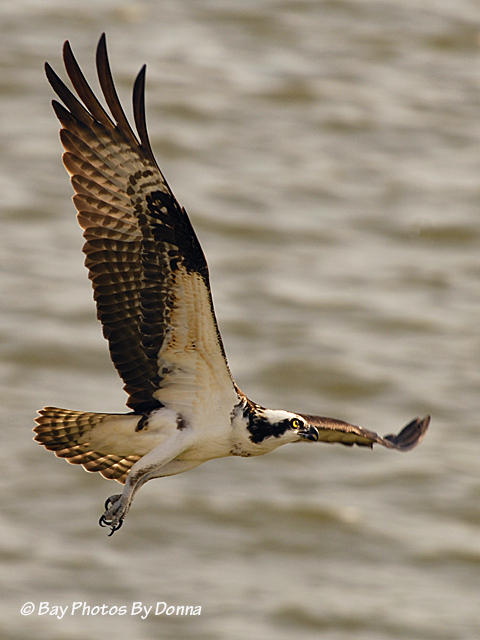 I have 2 favorites in this series….The one where the osprey is looking straight at you and the one that shows the beautiful detail of the osprey’s right wing. I keep going back and looking at the huge variety of great photos. Thanks for sharing your works of art.